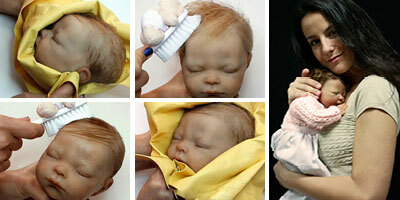 Silicone Hyperrealistic Babies are made ​​with the highest quality and attention to every part of the process. 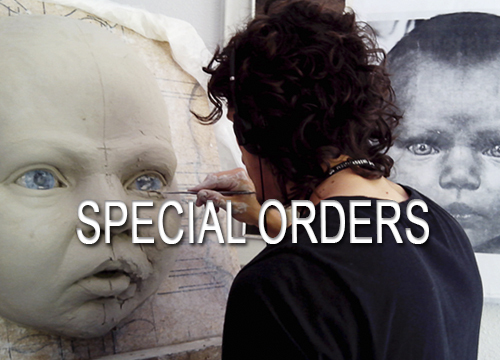 Are unique, exclusive and limited editions (LE). They are not made ​​for child handling, are not toys, and has to follow certain recommendations of care for better conservation and prevent early deterioration caused by misuse. 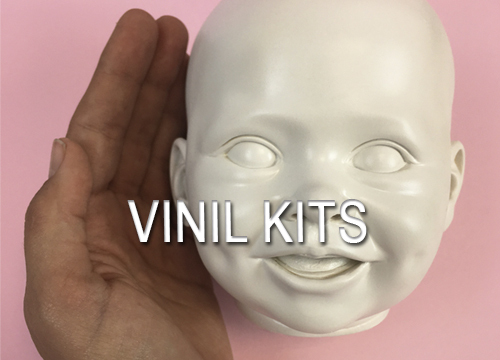 These warnings are the main points to keep in mind to always keep the Hyperrealistic Silicone Babies with the same quality that are delivered. Remember, negligent and careless use, child handling or misuse will lead to an early deterioration, always follow these warnings!. Babies (and special silicone products) should be washed with soft soap and water or baby wipes with no additives. Do not use aggressive cleaning products (bleach, alcohol, degreaser, solvent, etc.) It will cause a deterioration of the silicone and ruin the paint, causing it to dissolve or separate. To prevent dirt is stuck to the baby by the static electricity from the silicone, generally can be sprinkled with a brush some talcum-baby powder after washing and drying always with lint-free towels. 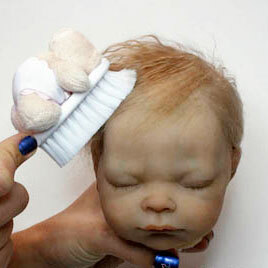 Do not over-comb, should always use a special newborn brush that not hitch the hair. Care must be taken in the hairstyle as though the hair is very deeply engrafted is naturally that eventually go missing with progressive styling. It can be wet or wash your Baby hair before styling, you can use a little softening to facilitate subsequent hairstyle. Never use colonies, the colony should be put on clothes without wetting silicone. Do not expose to tensions. Not stretch the material, as though it is a very special silicone flexible, you can create a tearing caused by this abuse. It can bend and move without problem but avoid stretching of limbs. Do not rub the surface with sharp objects that may cause the paint to lift or create holes or slits in the silicone. 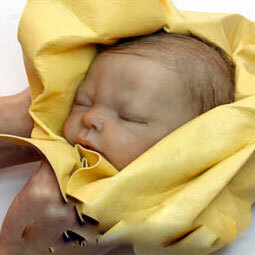 Never store in bags with colors, letters and other items that may be traspased over the silicone babies. Also avoid any friction with permanent markers or bags with permanent written text. Watch your babies clothes, if are made of poor quality could also fade the colors and be fixed in the silicone. 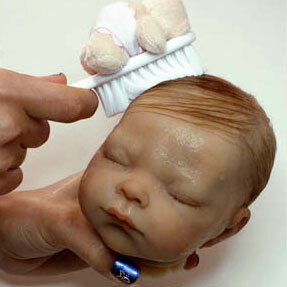 Do not expose the Silicone baby to direct heat, never approach a heat source such as radiator, fireplace, heating, etc …because deteriorate the material with the overheat. 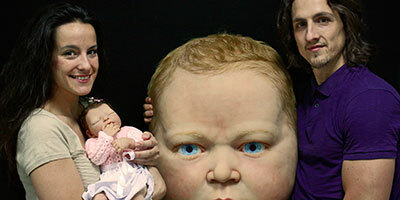 All silicone Babies must have careful handling, like a real baby, in no case treat it abruptly, out swinging of a limb or shake it because the limbs are subject and could be drawn or damage the structure (if have any). In the case of silicone entire body is the union of the head what is in more danger with a deal of this type, the union could get away and would have to be moved back into it´s place again (please contact us and we will guide you in case you need help, it´s very easy). Also, if you have internal structure it should not move in an abusive and abrupt form because although it is reinforced, as everything, if isn´t used properly it´ll be damaged. For babies with cloth body is simpler, if removed by forcing limb movements, shaking it or pull it, which should do is reposition the limb with a new thin loop (please contact us and we will guide you in case to need help, it´s very easy). 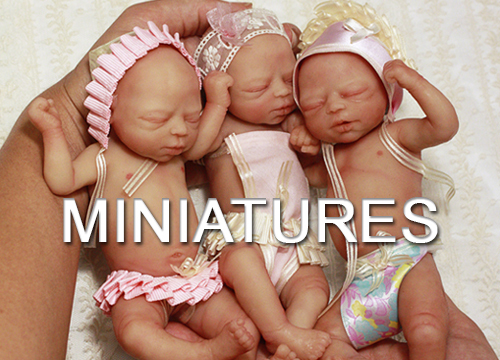 If your Hiperrealistic Silicone Baby is fitted inside a mechanism requiring replacement battery, please contact us to guide you easily. If you have any further questions on the care or anything else, please contact us. MYA Babies will be happy to answer any questions. 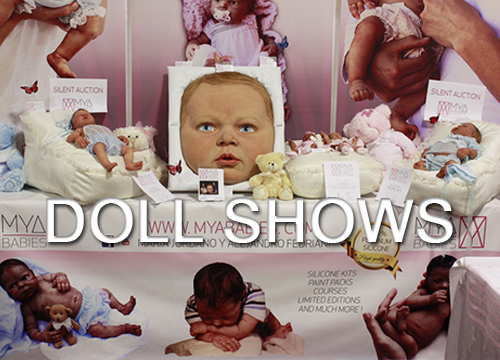 All our Hyperrealistic Silicone Babies Babies are made from start to finish for us, MYA Babies©. 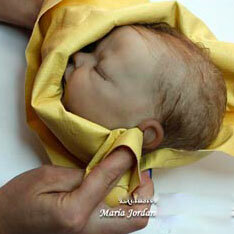 If you buy one of our Hiperrealistic Silicone Babies to someone else and not directly to us beware! Therefore we do not guarantee to receive this quality because it has been manipulated and may have had a misuse or mishandling and may present signs of spoilage in the paint, the hair or the silicone itself plus the other component parts, handling, changes or substitutions of other materials of lower quality, etc. Resales are usually not a good option because we always find surprises, be careful because we have not authorized the sale through third parties.